It’s difficult to think of another footwear label that so fully encapsulates the ‘Made in Italy’ branding. Staying true to the company’s long roots in Marche that stretch back for decades, the good news is that Italy’s best kept secret is now available to a wider audience. Boasting a legacy of production superiority with quietly elegant ‘50s chic designs, the sophisticated new range of feminine-hearted footwear from AGL Giusti Leombruni includes padded leather midi boots, moccasins, lace-up shoes and loafers crafted by Italy’s finest craftsmen. The brand was founded in 1958 by Piero Giusti. AGL is now run by Giusti’s granddaughters. The company only expanded into America in the last decade. 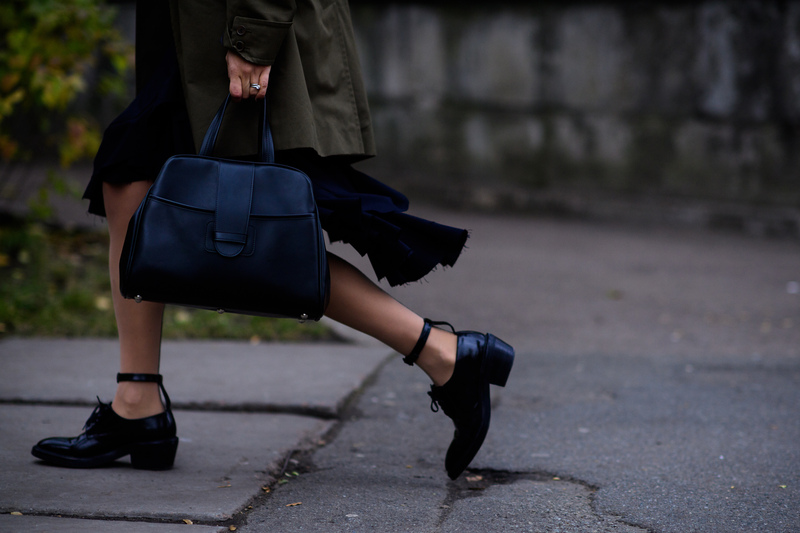 AGL is now strongly focused on women’s shoes and bags. The brand now has a presence around the world. The small town of Montegranaro in the Marche region of Italy has given birth to so many iconic designers and producers of luxury shoes, it could almost be described as the world’s capital of footwear excellence. AGL Attilio Giusti Leombruni is another name to have emerged from the rich source of Montegranaro, founded way back in 1958 when Piero Giusti set up his first factory there. For many decades, the brand’s sumptuous line of elegant and subtle footwear fashions remained one of Italy’s best kept secrets. Always a small family business at heart, AGL Attilio Giusti Leombruni was later passed onto Pero Giusti’s son, who in turn passed the company onto his own three daughters. Today, Sara, Vera and Marianna are driving the brand into bold new territory, placing a new focus on beautiful feminine footwear designs, and expanding the business into Europe, America, Japan, Russia, and Israel. PADDED MIDI LEATHER BOOTS: Dynamic new platform boots in white, with leather lining and drawstring closure. BLUE BALLET FLATS: Crafted by the Italian masters of the trade, these bold ballet flats are constructed from polished leather with bow detail and buckle. BLACK LACE-UP SHOES: The formal look from Montegranaro, made from polished leather with square heel and leather lining. DERBY SHOES: Patent leather lace-up shoes with 40mm platform and reinforced eyelets. AGL SANDALS: Refined design from the famed Italian label, these suede effect black sandals are the height of true sophistication. Jessica Alba is clearly a big fan of AGL Attilio Giusti Leombruni, and it seems she has a pair of AGL shoes for every occasion. The actress and businesswoman has been spotted filling up her car with gas in a pair of AGL studded leather sandals, and also enjoying time with her family in the park in a pair of AGL slip-on sneakers. Actress and model Dakota Fanning loved the brand so much the she became the face of AGL for their recent new fashion collections. Other names to have been snapped wearing AGL Attilio Giusti Leombruni include Hailey Baldwin, Gal Gadot, and Sienna Miller. GRENSON: Traditional British shoemaking stretching back to the 19th century. COCLICO: Coclico shoes are always designed to last the full distance. BOEMOS: Traditional hand-made footwear crafted to perfection in Italy. KENNEL & SCHMENGER: The only footwear choice for the stylish woman with very high expectations.